Works beautifully in this graphic treatment! Thanks, Geraldine! 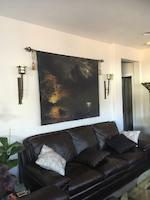 Glad you like it! 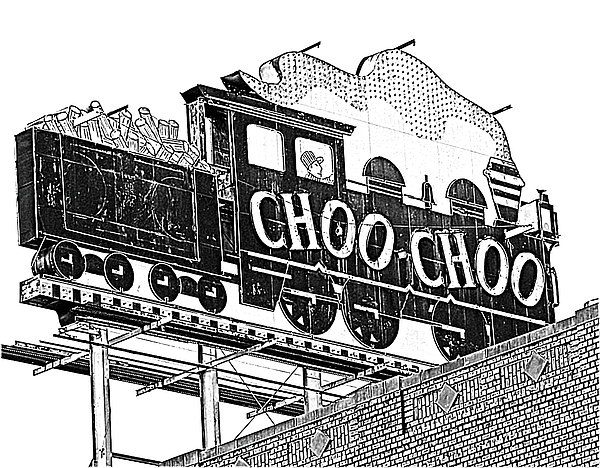 The historical Chattanooga Choo Choo finds its home on the tracks of Chattanooga's Terminal Station. 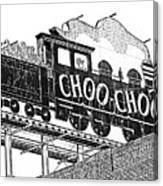 The small wood burning steam locomotive was a part of the Cincinnati Southern Railroad as it traversed the rails originally from Cincinnati, Ohio to Chattanooga, Tennessee beginning in 1880, the first to provide nonstop service. It was last used in the 1940's by the Smoky Mountain Railroad to provide rail service from Knoxville,Tennessee to the Smoky Mountains. 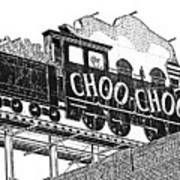 The Chattanooga Choo Choo Historic Hotel was one of the city's first preservation efforts, beginning in 1974 when it was placed on the National Register of Historic Places.